Clarksville, TN – Austin Peay State University’s football team has added to its 2018 signing class, with head coach Will Healy and his staff adding eight athletes to the Governors roster during the traditional February signing day, Wednesday. 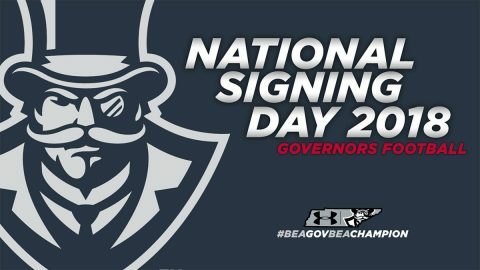 The current eight-man February signing class has a distinctive Southern taste with three signees each from Alabama and Georgia with Mississippi and Florida supplying one man each to the Governors. Along with the 13 signees during the first-ever early signing period in December, Austin Peay has added 21 new faces to its 2018 roster. Additional signees may be announced during the rest of the February signing period, fans should follow Austin Peay football at LetsGoPeay.com or on Twitter (@AustinPeayFB). Posted 203 total offensive yards in state semifinal contest against Fayette County – 94 rushing and 109 passing yards with two rushing scores.. Played two seasons at Booker High School after starting prep career at Riverview. Finished prep career with 180 tackles. Finished senior season with 448 all-purpose yards, including 362 total kick return yards. Also playing basketball for Fayette County and set Alabama High School Class 4A record with 60 points scored in a game this season and is averaging 27.2 points per game. Also was 2017 state runner-up in powerlifting, competing in the 308-pound weight class he posted a 650-pound squad, a 355-pound bench press and a 595-pound dead lift. A first-team Class AAA All-State pick by RecruitGeorgia.com and Honorable Mention All-State selection by the Georgia Sportswriters Association as a senior for head coach Robert Akins.